Loc: Saferoom @ Whiteline, Silom soi 8. Just roll n let's go!!! We come in peace and leave with our love. 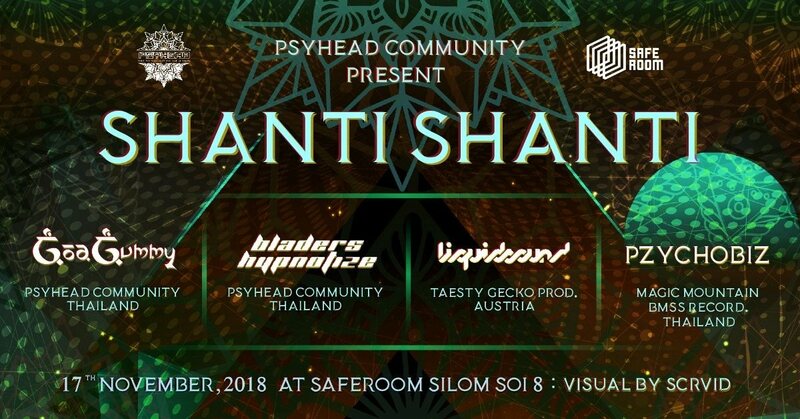 Was a really good time at PSYAMESE night and we continuously to the next one! Of course with our represented local new shine bright Psychedelic Visual artist : SCRVID dare you to see by your eyes!!! The Thai party season is coming close now then let's start by stomping in the down town!!! Saturday 17th of November @ Saferoom / Silom soi 8 , Silom rd. , Bangkok. 300 THB only at the door. Saferoom @ Whiteline , Silom soi 8.